Cut it to pieces for company, or keep it all to yourself. For the garlic oil: Warm the olive oil and garlic cloves in a small sauce pan over low heat for about 45 minutes to infuse the garlic flavor. Remove the garlic cloves and reserve for another use. Brush flatbread liberally with olive oil, and put on a hot grill. Grill on both sides until golden brown and heated through. If you’re using raw dough, grill until cooked through on each side. 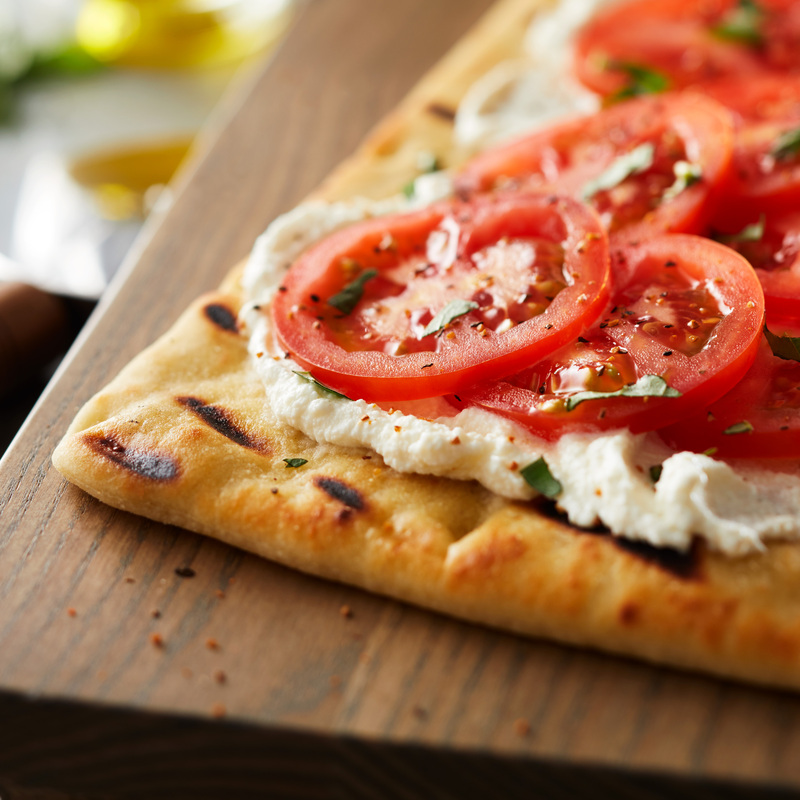 Remove the flatbread from the grill, and spread 1 side with ¼ of the ricotta. Shingle the tomatoes over the top, sprinkle with salt and pepper, drizzle with some of the garlic oil, and garnish with basil.